If Caltrans thinks that fewer vehicles will travel through the intersection, to where did 36% of the traffic disappear? How will grocery trucks accelerate on the severely shortened, uphill Northbound on-ramp? We predict that some trucks will enter the freeway at 20mph- quite a dangerous prospect. When the grocery trucks attempt to turn onto the NB on-ramp with such a sharp turn through a crosswalk, how far back will traffic be slowed? 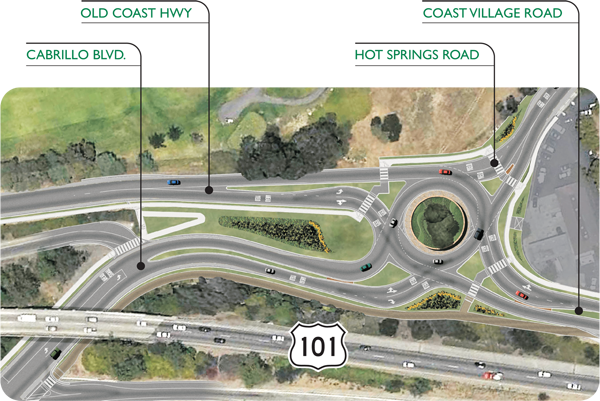 How does Caltrans think that merging traffic into one lane will flow in such a roundabout? What will the GPS prompt be upon entering to merge and diverge? Will pedestrians be provided a map on how to cross the street? Are pedestrians expected to walk on the grass or on the long, zig-zagging sidewalk? We think that they will cut through the grass and trip on the gopher holes. Will pedestrians waiting to cross be run over by big trucks making the sharp turn onto the on-ramp? Where will the tow trucks park for the accidents? When motorists crash at Milpas, tow trucks usually park on the "raised truck apron", but this one seems to have less room. How can Coast Village Road handle such an increase in traffic with the permanent closing of the Southbound on-ramp? Is the empty parking lot a prediction of what the traffic will do for businesses? How much is this really costing? Why is this being built when the +$5 Million Milpas Roundabout is apparently causing a 350% increase in accidents? Although the Caltrans image misleadingly still shows it, the Caltrans Plans approved in 2008 call for permanent removal of the Southbound freeway on-ramp at Cabrillo, so to get onto the freeway toward Capinteria from Cabrillo Blvd., drivers will have to travel past the old ramp, under the freeway bridges, through the new roundabout, down Coast Village Road through many pedestrian crosswalks and signals, then through another roundabout at the new 3-story condos at Olive Mill Road (no more gas station), turn Right, then pass back over the freeway over a new bridge, and finally turn Left onto the new Southbound on-ramp, if they don't get lost along the way. Will that decrease or INCREASE traffic volume on the streets? 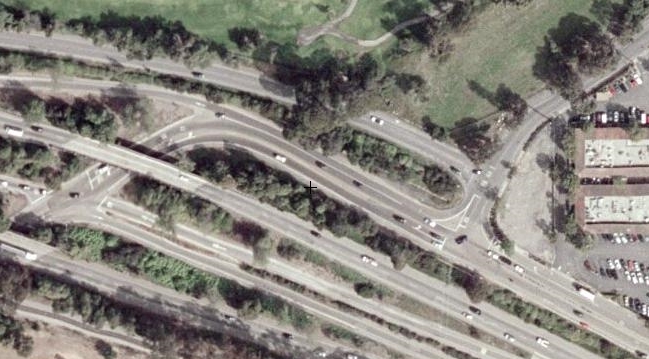 Now how did Caltrans reduce traffic by 36% by removing an on-ramp? How will July the 4th look when everyone leaving Cabrillo to Ventura has to drive through Coast Village? 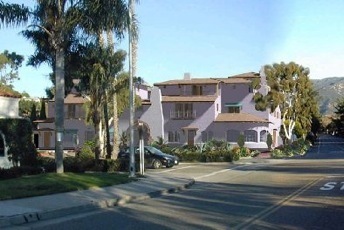 Perhaps the local business owners were duped into thinking that motorists stuck in traffic will visit the fancy shops or stop for some Pinot Noir on Coast Village Road, but most probably people will avoid this area altogether for shopping and go to Camino Real Shopping Center in Goleta, with its acres of free parking. Views expressed in this page are not necessarily those of anyone who is known by anyone associated with this webpage. Readers are encouraged to seek answers to the questions presented in the preceding discussion.